The Girl Who Outlived Her Creator: Salander Returns In 'Spider's Web' The fourth book in Stieg Larsson's best-selling Millennium series comes out internationally today — but Larsson died in 2004, so his father and brother hired a new writer to continue the series. Lisbeth Salander is back. The latest book featuring the infamous girl with the dragon tattoo is being published internationally today, and will be out next week here in the U.S. But this fourth book in the Millennium series has a new author — the man who created Salander, Stieg Larsson, died before the books were published, and never had a chance to see how popular they would be. The decision to continue the series is not without its critics — but it's also not the first time that a new writer has been brought in to continue a popular series after an author has died. New books by writers with best-selling franchises, like Tom Clancy and Robert Ludlum, often continue long after their deaths. Sonny Mehta, editor-in-chief and president of Knopf — which publishes the Millennium books in this country — says there's a very good reason to continue the series that Larsson began. "Lisbeth Salander is one of the heroines, I think, of the 21st century, and a most unlikely heroine. She's brave, she's intrepid, she's unfrightenable, she's got a moral core," he says. "And I hope people will just welcome the return of this extremely unlikely pair of Salander and this crusading journalist." The man chosen to write the new book, The Girl in the Spider's Web, is David Lagercrantz. He's written several biographies and a novel based on the life of the British mathematician Alan Turing. But he's best known for ghostwriting an autobiography of a popular Swedish football player that was a huge best-seller in Sweden. 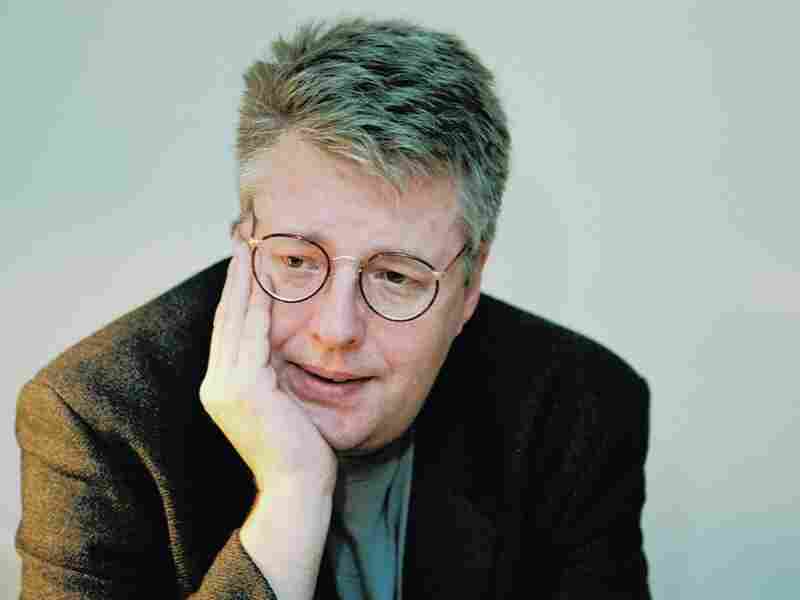 Stieg Larsson died in 2004, never knowing how popular his Millennium books would become. "I write best when I sort of collide myself with another man," Lagercrantz says. "So I think, I hope that a combination of me and Stieg Larsson will create something good." When the idea of writing a fourth book in the Millenium series was first proposed, Lagercrantz thought it was crazy — but the more he considered it, the more convinced he became that he could do it: "I just took my fist and I said, 'I'm born to do it, I'm born to do it!' I've been prepared all my life to write about Lisbeth Salander, because all the characters I've written about have similarities to her. I mean, they are geniuses badly treated, the world have treated them badly." Lagercrantz says he became obsessed with writing the novel. He re-read Larsson's books several times, but then he had to stop. "Because I had to trust myself. I had to go a little bit wild," he says. "I mean, I can't start to wonder how would Stieg Larsson have written this, because then I had this character in my blood system. So, if you are afraid, you are not a good writer. I have to just go berserk in a way, as you should in a good thriller." 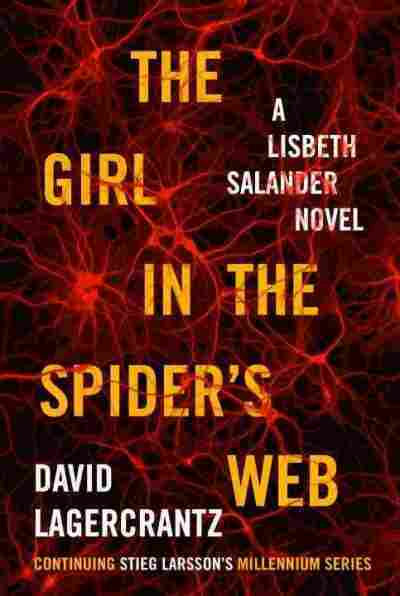 In The Girl in the Spider's Web, Lisbeth Salander and investigative journalist Mikael Blomkvist are reunited when an autistic child with an extraordinary talent for drawing and a photographic memory witnesses a murder. The plot stretches from the Silicon Valley to the coast of Sweden, and pulls in both the NSA and the Swedish security police. The release of Spider's Web is expected to be one of the biggest book launches of the year. But there is at least one person who plans to ignore it altogether. "I read original writers, not people who copy other people's books, so to say. So I won't read it," says Eva Gabrielsson. She lived with Stieg Larsson for more than 30 years, but because they never married — and Larsson left no will — his estate went to his father and brother. At one point they offered Gabrielsson a settlement of more than $3 million, but she turned them down "These millions weren't exactly a present," she says. "They were linked to numerous demands. A spiderweb of them." 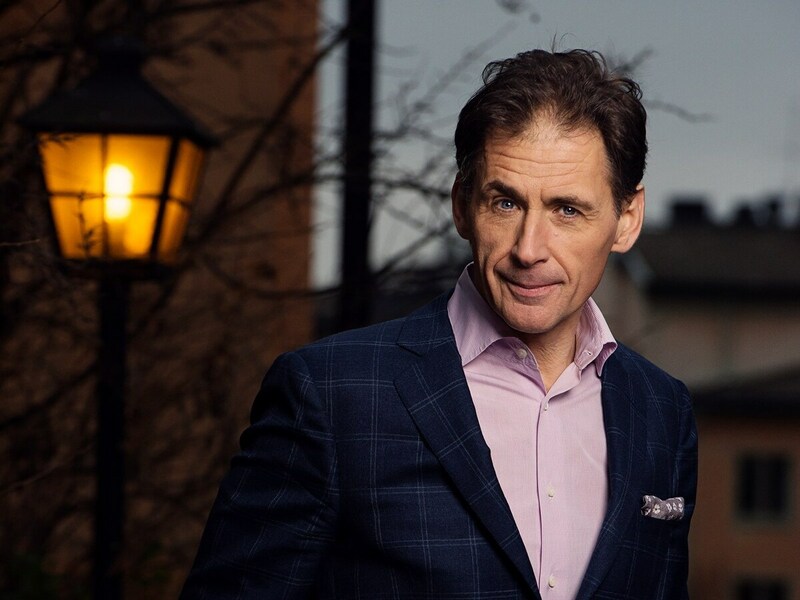 Larsson's father and brother hired David Lagercrantz to write the new book, The Girl in the Spider's Web. Larsson's brother and father have full control over his literary legacy, and they approved hiring Lagercrantz to write The Girl in the Spider's Web. Their literary agent says they will donate profits to the magazine that Larsson founded. But Gabrielsson scoffs at that, saying the publisher needs the money. She believes there is no writer who can do justice to Larsson's vision. "I mean, Stieg had a life, he had ideas, he had his own voice," she says. "He pulled that life and himself into books, and because they are so personal and original, that's why they became such a success. You can't take that away from him by hijacking the characters and letting them continue." Gabrielsson's criticism is not lost on Lagercrantz. "I have the deepest respect for Eva Gabrielsson and all she has gone through, but I also know that I make maybe her sad, and I am sad about that, but I make so many other people happy. I've never met so much love, from fans longing for this book, in my whole life," he says. Ultimately, says Gabrielsson, it is the fans who will decide the fate of this book, and perhaps future ones. "The final verdict will have to be the readers. They are smart people, and if this were to be actually worth reading, or having something to say, that would be a first," she says. "Because none of these continuations of other people's works have ever met the standard of the original writer, not once." But many of those books are well-received by fans. Lagercrantz says he has worried a lot about how readers would react to his book. But now, he's feeling pretty confident about The Girl in the Spider's Web, and he welcomes any discussion it provokes. If anyone doesn't like it, well, he says, they have another option: "If, God forbid, I have written a bad book, I mean, you can go back to Stieg Larsson. And what makes me so happy, that people is reading again now because the fourth book is coming out, and he is really a writer who deserves to be read again." In the end, Lagercrantz says, he has done all he could to capture the universe Larsson created, and the genius of his unforgettable character, Lisbeth Salander.